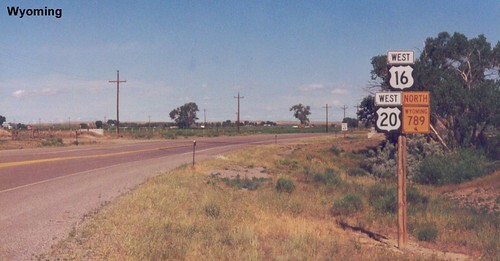 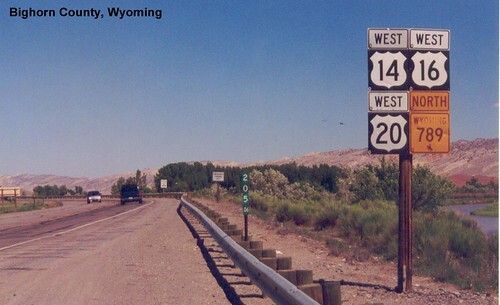 US 20 is multiplexed with US 18 in eastern Wyoming. 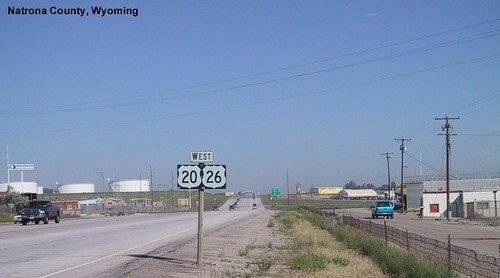 US 20 passing through Glenrock. 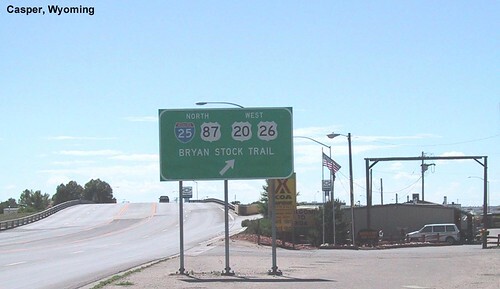 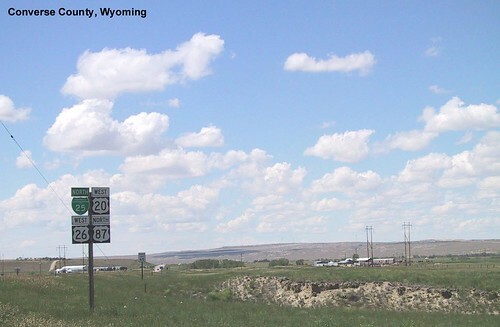 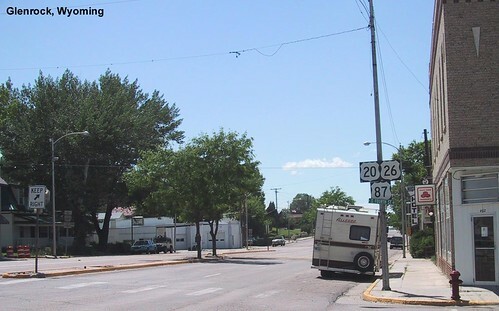 US 20 is multiplexed with US 26 through much of Wyoming. 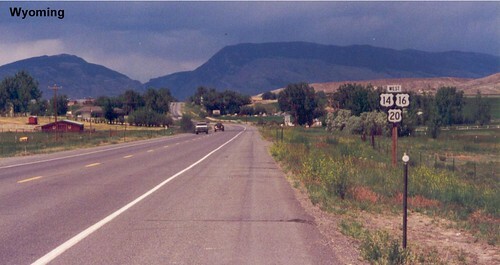 US 20 and US 26 split in Shoshoni. 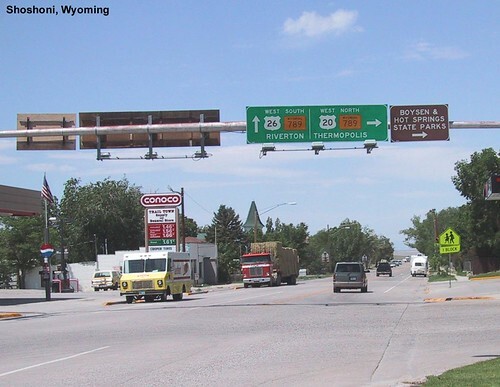 Both times we went through we stopped at a cool old place called Yellowstone Drug for milkshakes, but apparently as of 2012 it is gone. 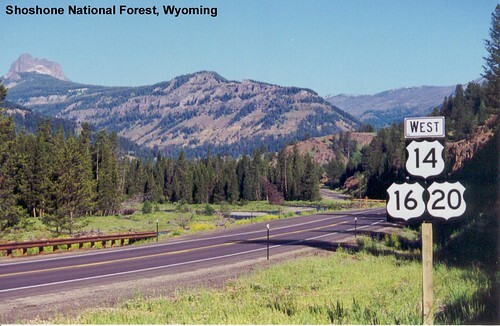 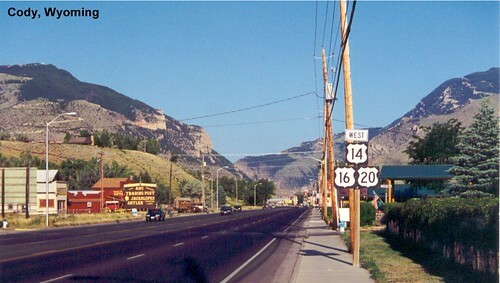 US 20 is multiplexed with US 14 and US 16 for the ride to Yellowstone National Park.